UVA coach Tony Bennett and Cavs players Kyle Guy, Marial Shayok and Jack Salt talk about the Cavs’ 76-53 win over East Carolina. #14 UVA rode streak shooting and trademark defense to an easy 76-53 win over East Carolina Tuesday night. No. 14 UVA (7-1) hosts East Carolina (7-2) in in men’s basketball non-conference action on Tuesday (Dec. 6). Tommy Doyle (So., Vienna, Va.) allowed one earned run in seven-plus innings as the No. 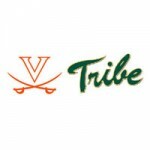 4 Virginia baseball team defeated East Carolina, 4-2. Luke Bolka had a second-inning homer and four RBIs, and Virginia freshman lefty Daniel Lynch struggled in his first home start in a 6-1 Cavs’ loss to East Carolina on Saturday. Augusta Free Press editor Chris Graham is at Davenport Field in Charlottesville. #4 Virginia (3-2) hosts East Carolina (5-0) at 1 p.m.
East Carolina rallied for a run in the ninth inning and scored three in the 10th to pull out an 8-5 win over the No. 4 UVA baseball team Friday. Virginia football will be BYU East next season, with one notable exception, in the form of former ECU coach Ruffin McNeill. James Summers ran for 169 yards and two touchdowns, and East Carolina came back from an early 14-0 deficit to post a 35-28 win over Virginia Tech on Saturday in Greenville, N.C.
Virginia Tech football coach Frank Beamer talks with reporters on Monday. The Hokies (2-1) travel to East Carolina (1-2) on Saturday. The second-ranked UVA baseball team started its 2015 regular season Friday afternoon with a 3-1 victory over East Carolina in brisk conditions at Clark-LeClair Stadium in Greenville, N.C. Nathan Kirby (Jr., Midlothian, Va.) pitched seven shutout innings as UVA limited ECU to just five hits. The UVA baseball team starts its 2015 regular season this weekend with a three-game series at East Carolina. The season opener is slated for 3 p.m. Friday at Clark-LeClair Stadium in Greenville, N.C. Because of impending inclement weather on Sunday, the teams now will wrap up the series with a doubleheader beginning at noon Saturday. The weekend schedule has been altered for the season-opening series between the UVA baseball team and East Carolina, slated for Friday through Sunday (Feb. 13-15) at Clark-LeClair Stadium in Greenville, N.C. Breaking down Virginia Tech-UNC: Who survives to compete in ACC title race? Both Virginia Tech and North Carolina enter their matchup Saturday at Kenan Stadium in Chapel Hill, N.C., with an ACC loss. One will leave with a second loss, and almost assuredly will see its chance to play for the ACC title in Charlotte in December come to an end. ESPN has announced the following networks for ACC football games of Sept. 20. The game times were announced earlier. All times are Eastern. East Carolina was on the verge of blowing Virginia Tech out of Lane Stadium, but the Hokies came all the way back from a 21-0 first-quarter deficit to tie the game with 1:20 to go, only to give it up in the final seconds on a 1-yard quarterback sneak by Shane Carden as the Pirates upset #17 Virginia Tech, 28-21, on Saturday. A week after a huge win over Ohio State, Virginia Tech was upset at home as East Carolina beat the Hokies 28-21. Virginia Tech football coach Frank Beamer talks with reporters. 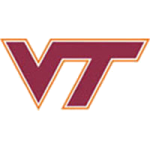 Virginia Tech (2-0) hosts East Carolina (1-1) in Blacksburg, Va., on Saturday. Fans will have plenty of opportunities to catch the JMU men’s basketball team at the Convocation Center this season as head coach Matt Brady unveiled the entire 2014-15 schedule Thursday, which features 10 non-conference home games and 19 home games overall. 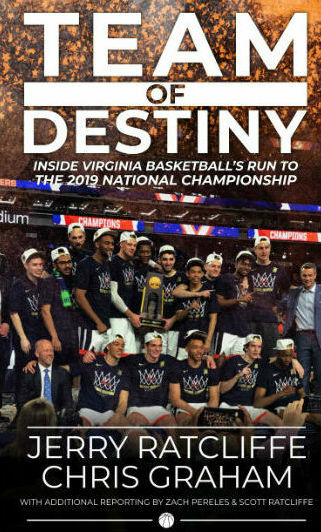 #1 UVa. got five and two-thirds strong innings from Brandon Waddell and six two-out run-scoring hits to post a 6-2 win over East Carolina on Sunday in front of a February record crowd of 3,592 at Davenport Field in Charlottesville, Va.
#1 UVa. 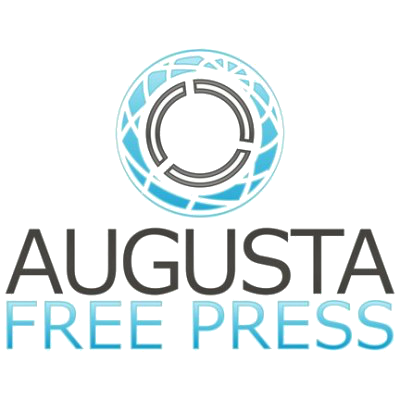 (5-1) hosts East Carolina (3-3) in February college baseball action on Sunday at 1 p.m. at Davenport Field in Charlottesville, Va. Augusta Free Press editor Chris Graham is in the press box for today’s game. The No. 1-ranked UVa. baseball team shut out East Carolina, 4-0, Saturday afternoon in front of 3,561 spectators at Davenport Field. Three UVa pitchers combined on a seven-hitter as the Cavaliers (5-1) picked up their fifth straight victory and second shutout of the year. ﻿The top-ranked UVa. baseball team scored a 3-2 win over East Carolina Friday. Brandon Downes (Jr., South Plainfield, N.J.) hit a pair of solo home runs to support a strong UVa pitching effort, highlighted by 6 1/3 innings of two-run baseball from starter Nathan Kirby (So., Midlothian, Va.). The top-ranked UVa. 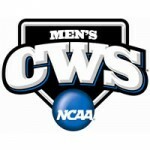 baseball team faces East Carolina Friday through Sunday (Feb. 21-23) in a three-game series at Davenport Field. The 3 p.m. Friday contest now serves as the Cavaliers’ 2014 home opener. The top-ranked UVa. baseball team piled up 19 hits in a resounding 17-2 victory over William and Mary Wednesday evening at Plumeri Park in Williamsburg, Va. The Cavaliers (3-1) scored six runs in the second inning and blew the game open with a nine-run sixth inning. Due to Saturday’s UVa. home men’s basketball game against Notre Dame (Feb. 22 at 2 p.m.), parking for fans attending the Virginia baseball game against East Carolina (Feb. 22 at 1 p.m.) will be limited to the Emmet/Ivy Garage. The Wednesday (Feb. 19) baseball game between #1 UVa. and William and Mary, scheduled to be played at 4 p.m. at UVa’s Davenport Field, will now be played in Williamsburg at William and Mary’s Plumeri Park at 6 p.m. Wednesday. Field conditions at Davenport Field prompted the change. The JMU baseball home opener vs. Longwood scheduled for Tuesday, Feb. 18 has been pushed back one day to Wednesday, Feb. 19 at 4 p.m. to provide additional time for field preparation after last week’s winter storm. The top-ranked Virginia baseball team led from start to finish in a 7-2 road win over UNC Wilmington Sundayafternoon in front of a Brooks Field record crowd of 3,826. A total of 39 UVa. 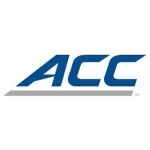 baseball games will be available on television or through online video broadcasts this season, as the ACC and Virginia each announced their spring broadcasts schedules on Wednesday. Coming off of one of the conference’s most successful seasons, JMU has been selected sixth in the 2014 Colonial Athletic Association preseason baseball poll according to a vote of the league’s eight coaches. The East Carolina Pirates used a 19-4 run early in the second half to pull away and held off a rally attempt by the VMI Keydets to prevail, 103-94, in non-conference basketball action Thursday in Greenville, N.C. The contest saw 11 total players score in double figures, with ECU (10-2) putting six players in double figures and VMI (6-5) posting five-such scorers. 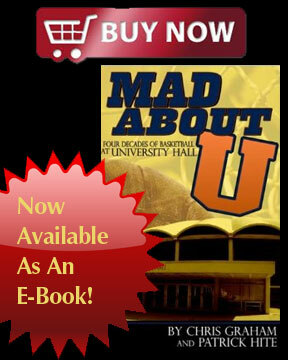 Season tickets for the UVa. baseball 34-game 2014 home schedule go on sale Monday, Nov. 11. Reserved seats in the grandstand (Sec. 101-109) are initially available only to renewing 2013 season ticket holders with seats in those sections.